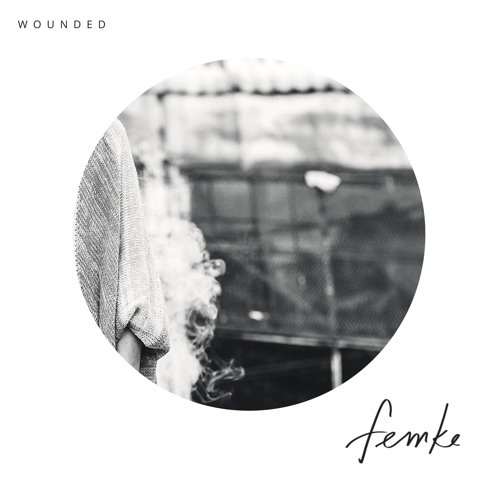 Home / brand new / brand new artist / Femke / música / Femke Unveils New Single "Wounded"
Femke Unveils New Single "Wounded"
Dutch-born, Nashville-based singer-songwriter, producer and multi-instrumentalist Femke has just unveiled her brand new single Wounded and I am LOVING it! This is an acoustic-guitar driven haunting ballad where her powerful vocals take centre stage. Those guitar works are impeccable and there's somewhat of a Western-vibe to the song. I am a sucker for these types of songs and I just had to share this gem with you guys. Stream Wounded below! It came from kind of a dark but hopeful place, the lyric is the hopeful part but the music still reflects the darkness. Wounded is a standout track for Femke who usually creates electronic music. Femke has collaborated with artists such as Belle Mt, Estelle, Mark Hoppus, to name a few. She won the ASCAP Harold Adamson award, studied with Lin Manual Miranda for a short summer at Chicago's North Western University with the Johnny Mercer Foundation, worked for Richard Gibbs, Don Grusin while also working at Hans Zimmer's Prestigious Remote Control studios in Los Angeles. As a musician she sang with Blink 182's Mark Hoppus on the soundtrack for Fired Up, played accordeon on several indie movies, played guitar and programmed on ABC's 10 Things I Hate About You and scored a season of Disney's Binny und der Geist. Do you know the lyrics to this sing? I want to sing it, but I'm unable to make out what she's saying. Hi there James. How are you?